India is one such country, which we can call as a galaxy of talents from different fields of art and creativity. 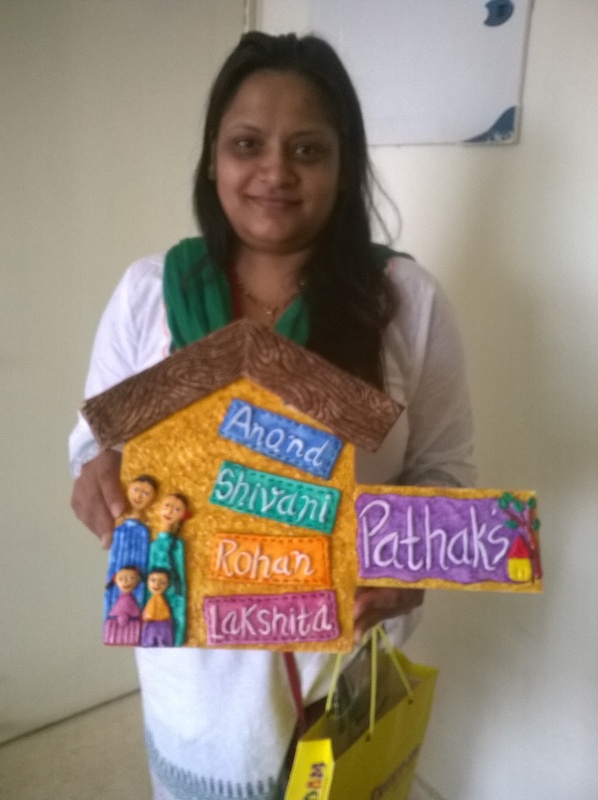 Priyanka Jain is an architect by profession who choose to be creative and believe in sharing her knowledge by teaching people the art. Check out her experience and journey in this world in this session. Welcome to Indiacafe24.com. Well Priyanka at the very first chance I will insist you to share something about you and how you thought of joining this creative art form? Hello, I am an architect by profession, spent last 10 years in city of Delhi, Jaipur, Mumbai and finally based at Gurgaon with my spouse (working currently in an MNC) & Daughter Swara. After completion of architectural course, started career in same but always having inclination towards world of colors. Being a good drawing student always had a pack of colors with me and used to play with them in my leisure time. After my baby, I thought not to pursue career in architecture and to do something with colors- and this way this art form joined hands with me. Who discovered your creativity first? I always had good hands in drawing and used to get a lot of appreciation from my drawing teacher Mr. Abdul Hameed, who hails from Varanasi and was an awesome art teacher. He discovered this and always pushed me to board this field. Are you inspired by any specific person or artist? Not any specific name, but I am inspired by any person who has passion to do something different. 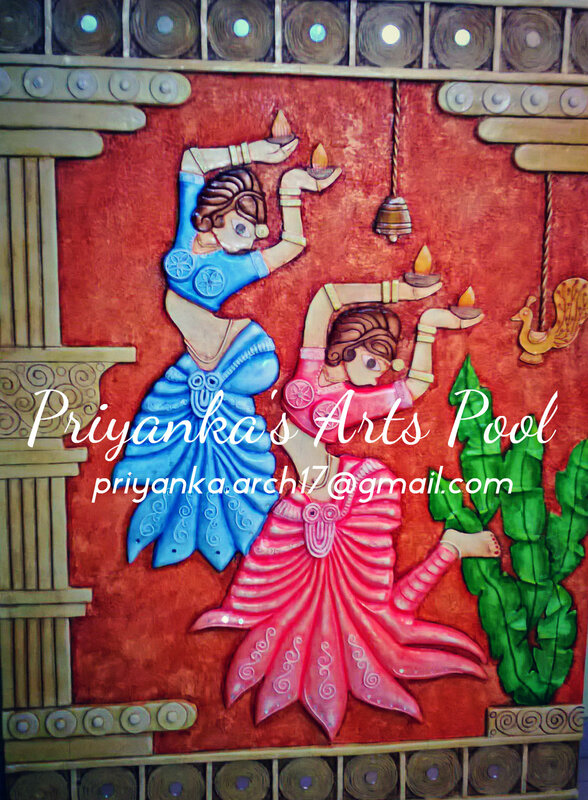 How Priyanka’s Art Pool was born and when? In my second inning of career, I learnt some new art forms and started practicing at home itself. I made couple of artifacts and showcased in society Diwali fair that where I got first platform as lot of response of customized orders and queries for learning classes. 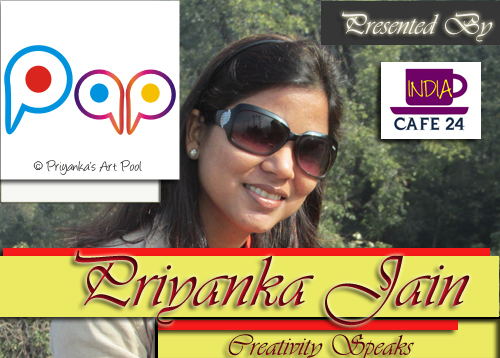 I started form there and to make it in a more professional way – started my venture named Priyanka’s Art Pool. What’s the motto of Priyanka’s art Pool? My motto is to unleash the hidden potential of every individual who has passion to art and craft. As we know that you are an architect by qualification so is this profile helped you in turning to an artist? Not specifically, I would rather say my drawing skills helped me to become a good architect infact. Yes, couple of techniques of line work and sketching, and practice of imagination what we learnt in architecture course – really helping over here. What materials you are using for your art work? Wooden / Glass / Stone base, Air Dry clay, resin clay and acrylic colors are commonly used materials. These all have different combinations and make a different art form altogether. I must say, this is an awesome experience of teaching young kids the basics of drawing and othercrafts as well. 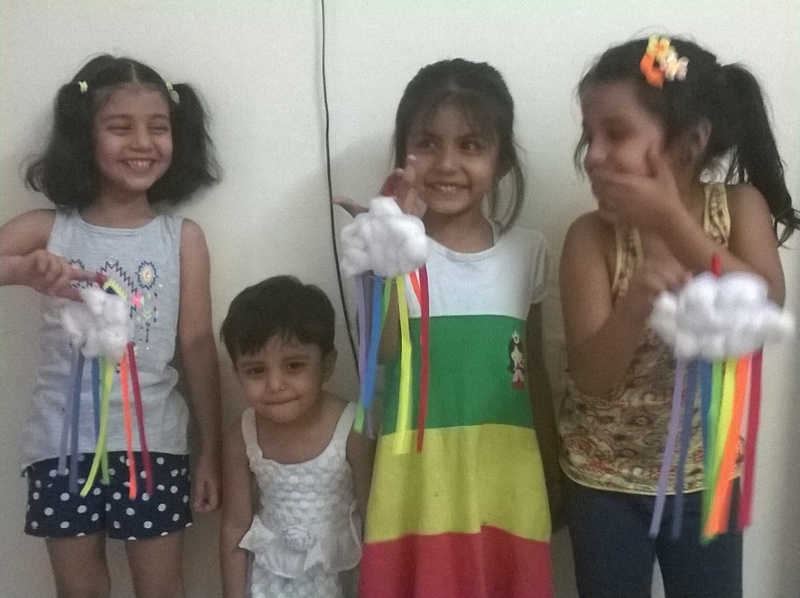 After completion of their masterpieces,smile on tiny faces really gives me immense pleasure. I also have students inclusive of working women and housewives as well. What type of work or technique you are following in making your art pieces? 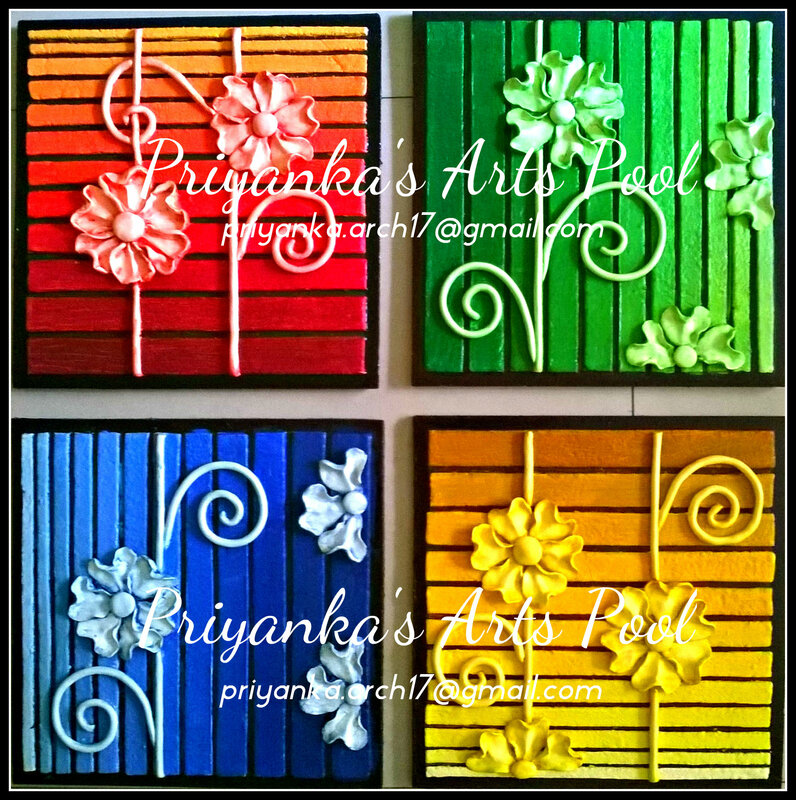 Most of my artwork is Relief art wherein I use Resin clay , Epoxy on different bases like wood and glass to have a 3D view and after that play with different colors till finish. 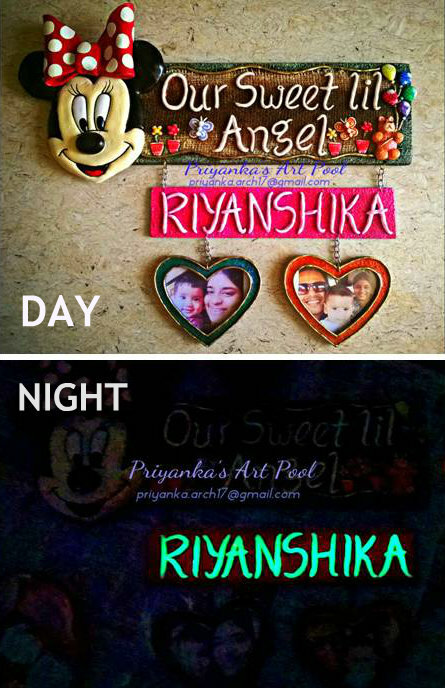 My work include all ranges of creations from kids Room / Bed room to Drawing room wall hangings, exterior name plates and also for Pooja Rooms. The curriculum design is level wise – basic to intermediate and advanced level which varies according to degree of fineness and intricacies of design. Any WOW moments which you want to share with our readers? 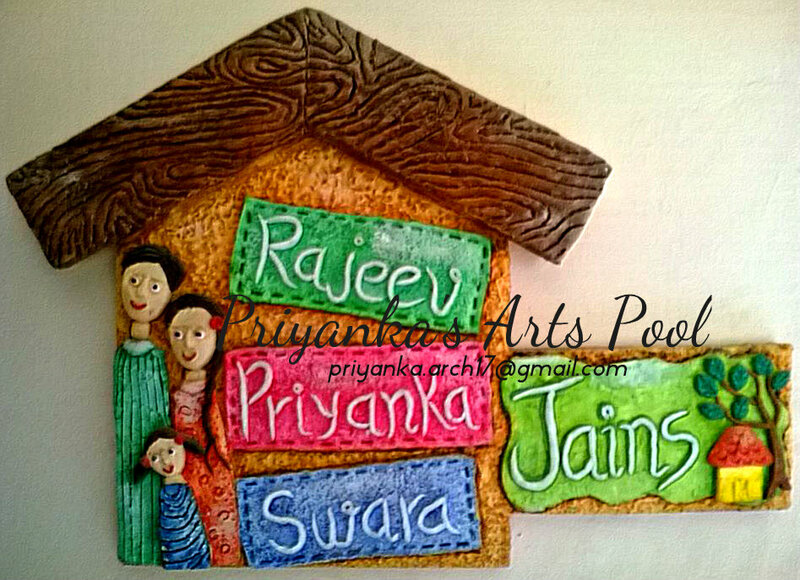 One of the name plate what I have designed for my own house, now is replicated to almost 20 houses around the city and have become one of iconic piece of arts pool. What are your plans 5 years down the line? I have a plan to have a full time formal art institute which should become a good platform for emerging artist and for people who have little interest but needa direction to go forwards. I am also fond of traveling and try to explore different regions every time to understand the art and culture of those. What is so far your best creation? One of customized Kids Room plate which I design for one of client in Bangalore, The names that glows in night. 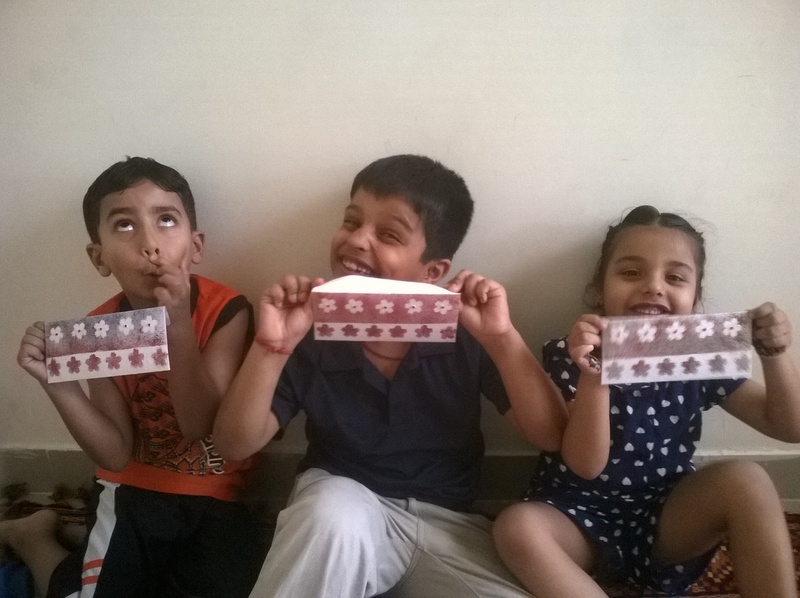 Are you planning to do something unique with your creative art for India and the kids of India? Right now, not having this much of big thought, But I do have plans to join hands with “Eklavya Society” they teach poor and slum kids and shape their career, why not we can find a good Indian artist among those guys. What makes you different from other artistic people? That people associated with me can answer, I really don’t know. But I can say, that I am not stuck with a particular art form and have many things in bucket and always open to learn whatever comes in my way. Who is your youngest student so far? 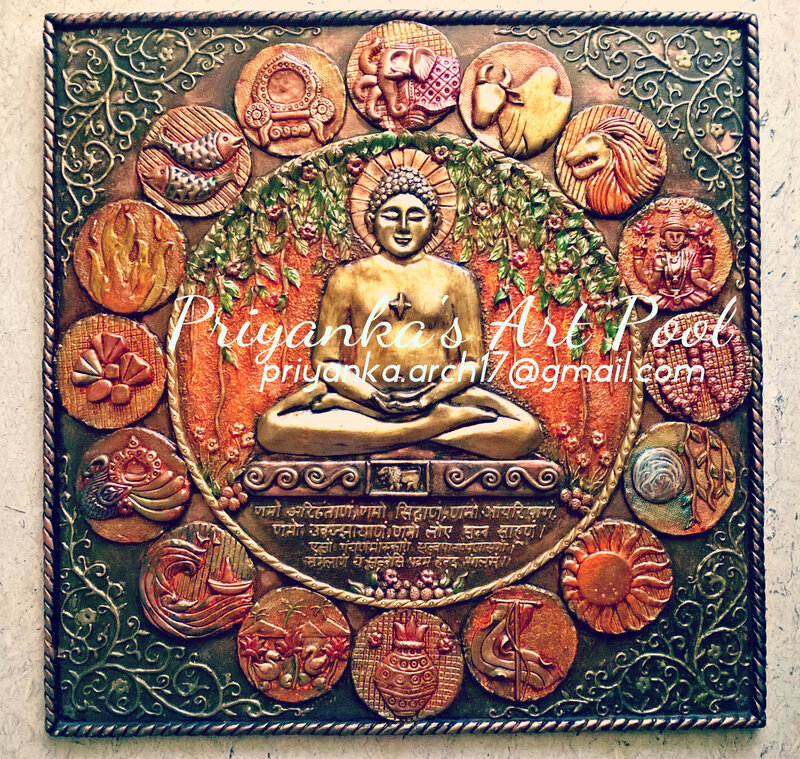 Do you take orders from people who want to buy your artistic pieces and if Yes, then where they need to contact you? Define Priyanka Jain the artist in one line. A simple, passionate and full of creativity. A true artist always strive to create something new, so keep doing your efforts towards art, keep the spirit up ‘Best Of Luck’. 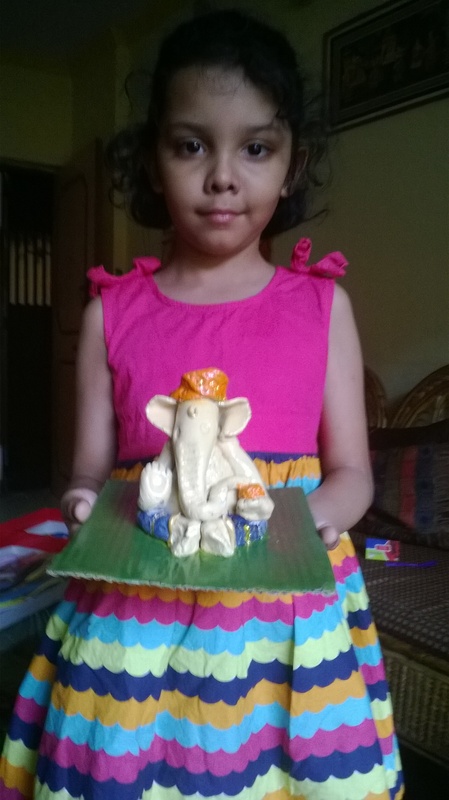 Nice job priykna keep it up weldone …. ooosm dii..read this article just now…doing a great job..
We all really proud of you.Keep doing this hard work all the best.